Cosmological redshift of distant astronomical objects as a result of a fundamental principle of nature. Each atom emits or absorbs photons with strictly defined wavelengths. The detection of one of these wavelengths from the line spectrum, as it is called, is the signature of the atom which emits or absorbs the photons. The study of the line spectrum of astronomical objects constitutes the simplest way to detect the chemical elements that constitute them. However, the study of the line spectrum can give us further information about the astronomical object besides its chemical composition. The wavelength of a photon can be altered by specific causes related to the astronomical object-photon source. If the astronomical object moves relative to an observer the wavelength received by the observer is different from the characteristic for each atom, wavelength . This is caused by the Doppler effect and its mathematical description allows the observer to draw conclusions about the velocity of the astronomical object from the values of and . The wavelength of the photon is also affected by the gravity of the astronomical object-photon source. From the values ​​of the measured wavelength and the characteristic which is known, the observer can get information about gravity in the area of the astronomical object. With this information he can draw conclusions about the mass or volume of the astronomical object. known as the Hubble law. The parameter H is called the Hubble constant, while c is the speed of light in vacuum. 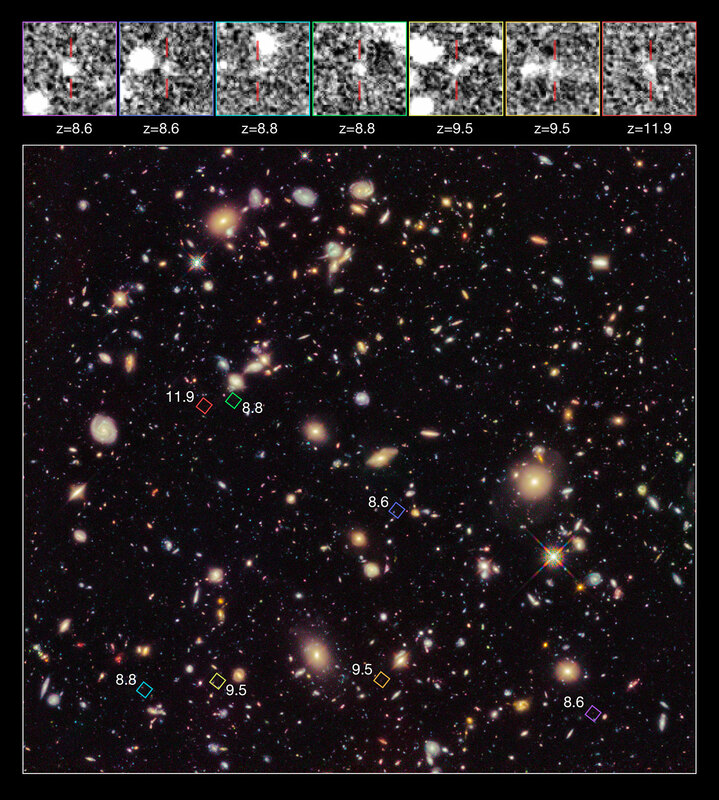 Until about 1930, Hubble has confirmed that the astronomical objects which he observes and whose redshift he records, are actually other galaxies outside the Milky Way. With the redshift of distant astronomical objects confirmed, the question is raised about its theoretical justification. Based on the physical theories of the last century, the redshift could be explained by the expansion of the universe, a prediction made ​​by the general theory of relativity. This gave rise to the standard cosmological model (SCM). The foundation of the model was made by Friedman (1922) and Lemaitre (1927). According to the general theory of relativity the universe is unstable. Depending on the amount of matter it contains it may be either static, or collapsing to a point, or expanding. The redshift could be justified in an expanding universe. There have been other efforts for justification of redshift​. The most notable is the proposal of leading astronomer Fred Hoyle on the assumption of “continuous creation”. The basic idea is that new hydrogen atoms are constantly being created in the universe. This hypothesis can justify the redshift. However in 1964 Arno Allan Penzias and Robert Woodrow Wilson observe the cosmic microwave background radiation (CMBR). A radiation corresponding to the blackbody spectrum of about 3 degrees Kelvin, which suffuses the universe coming from every direction. The CMBR is predicted by the SCM, but not from the model of continuous creation. The observation of CMBR was one of the most important reasons for the prevalence of SCM against the model of “continuous creation” and other competitive models in this respect. The way we choose to justify the redshift of distant astronomical objects characterizes the resulting cosmological model. This includes all cosmological models and of course the SCM. According to the SCM, going back in time the universe should be derived from a point of nearly infinite temperature and density. This results in the hypothesis of the big bang. Today, and after a huge number of articles that have been written for about a century, in primary and secondary scientific journals and in the media, the hypothesis of the big bang seems perfectly normal. Nevertheless the big bang is not what we would expect as a beginning of the universe. This view has been expressed by many top researchers, including the Einstein. Even in 1931, when the observations of Hubble have confirmed the redshift of distant astronomical objects, Einstein was trying to modify his equations to explain the redshift, in a manner that does not lead to a big bang . Hubble himself maintained that the discovery of the redshift of distant astronomical objects could be a consequence of an unknown fundamental physical law, a basic principle of nature [2,3, p. 357, § 3] and is not due to the expansion of the universe. Over time, and as the “fundamental principle of nature”, whose possible consequences Hubble considered observing in the spectrum of distant astronomical objects, was not coming to the foreground, the belief of the expansion of the universe was cemented as well as the big bang. This belief was so deep that led to the introduction of a number of arbitrary assumptions in the SCM, whenever cosmological data were inconsistent with the model predictions. The main ones are the assumptions of “inflation” and dark energy. In the 1970s, we know, we now measure the density of matter in the universe. One of the conclusions drawn is that the density of matter is such that immediately after the big bang the universe will collapse again to a point. To solve this problem, as well as other problems such as the “horizon problem”, the hypothesis of “inflation” was introduced by Alan Guth and Andrei Linde. During the first fractions of the life of the universe immediately after the big bang, the universe expanded exponentially, at an incredibly high rate. In this way it ‘escapes’ gravity and avoids reimplosion to a point again, as required by the equations of general relativity. During the 1990s, two independent research groups under Adam J. Riess and Saul Perlmutter attempt to measure luminosity distances of type Ia supernovae. These are objects whose distance we can measure from their brightness. The objective was to measure the luminosity distances of supernovae smaller than those predicted by the Hubble law, confirming the predictions of the SCM. Instead the measured luminosity distances of supernovae were much larger and completely incompatible with the SCM. Because these measurements, but also others that followed, were inconsistent with the SCM, it was assumed that there exists an unidentified energy in the universe, indeed up to about 75% of the total energy of the universe, which was named dark energy.It was hypothesized that dark energy drives the universe to an accelerated expansion rate. Today, there are cosmological data, which not only are incompatible with the SCM, but there is no simple hypothesis that could be fashioned to justify these in the frame of the SCM. As such we mention the temperature difference between the northern and southern hemispheres of the universe, with the southern being slightly warmer than the northern, the immense structures of matter, such as the Sloan wall which extends to a distance over one billion light years and whose structure needs a period of more than 80 billion years to be formed, a period much longer than the 13.8 billion years that is predicted by the SCM as the age of the universe, the already observed variation of the fine structure parameter and the structure of 73 quasars observed recently and extending to a distance of 4.2 billion light years. These are just some of the cosmological data for which there is no simple expected hypothesis that could justify them in the frame of the SCM. We predict that the next generation of observational instruments will bring the SCM to a deadlock. The reason is that the redshift is not due to the expansion of the universe and has a completely different cause. The justification of the redshift of distant astronomical objects with the expansion of the universe implies the completeness of the physical theories of the last century. But we know that this completeness does noy exist. The reason is simple. In the twentieth century we completely ignore the cause of quantum phenomena. We know that quantum effects dominate the natural world, the physical reality, but we are completely unaware of the cause that gives rise to them. Despite the indication of Einstein that the cause of quantum phenomena should be sought, there has been no progress in this direction, apart of course from the mathematical description of the phenomena. Today, we can suggest a common cause for quantum phenomena and cosmological data. The Theory of Selfvariations (TSV) establishes a single common cause for quantum and cosmological phenomena. A slight continuous increase of the rest masses of material particles and of the absolute electric charges of particles of matter can justify both the quantum phenomena, and cosmological data. This increase (selfvariations) is strictly determined by the law of selfvariations, which is consistent with the conservation principles of physics and the special theory of relativity. In the macrocosm, the law of selfvariations predicts and justifies all the cosmological data [4,5]. 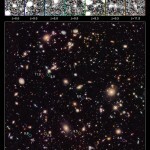 It requires no additional assumptions to justify the data observed from the time of Slipher and Hubble to date. Despite the wide range of data observed and recorded, there is a common cause, a common point, that justifies them. It is a direct consequence of the law of selfvariations at cosmological scales. Observing the universe at large distances, i.e. as it was in the distant past, the rest masses of material particles and the absolute electric charges of the particles of matter have lower values ​​than the corresponding ones in the laboratory. This results in different values for almost all fundamental parameters of astrophysics, thermodynamics and quantum mechanics. Indeed this is the fact recorded from the observation instruments in cosmology. That is why the SCM is forced to incorporate more and more assumptions as the observing instruments are improving and we observe with increasing detail the consequences of selfvariations at a cosmological scale. The values of the parameters k and A are known ​​. In Figure 1 we present the function up to . The curve shape little differs from the Hubble law. The curve deviates from the Hubble law for extremely large values ​​of redshift. Figure 1: The function up to . For small values of redshift the curve is identical with Hubble’s law. As already mentioned, the equations of the cosmological model of the selfvariations (selfvariating universe, SVU) contain as information and justify all the cosmological data. Naturally we can not provide here for the detailed predictions of the SVU and we refer the reader to the scientific publications. But there are some points we deem appropriate to mention. All of the SVU equations are compatible with the condition . Today we observe a small part of the universe. The universe extends across vast distances beyond the limits that we observe today. Moreover, we can go back in time as far as we want before ‘now’. The equations of the SVU give us the values ​​of the fundamental parameters of astrophysics, thermodynamics and quantum mechanics at any time in the past. Thus, we can identify in detail the evolution of the universe and the consequences of selfvariations we expect to record form the observing instruments. That is why we know that the cosmological data are contained as information and are justified by the law of selfvariations. We can also identify and original form of the universe predicted by the SVU, the origin of matter. In the very distant past, the equations of SVU require that the original form of the universe differs only slightly from the vacuum at a temperature close to zero degrees Kelvin. The evolution of selfvariations over time shifts the universe from the original form of vacuum to the form we see today. During this evolution the universe remains consistent with its origin. At each stage of its development the total energy content of the universe remains zero. The law of selfvariations does not answer the question raised 300 years before by Leibniz «why there exists something since there could be nothing.” It nevertheless reveals to us a unique relation between matter and the vacuum. As we have already mentioned, the selfvariations affect the parameters of quantum mechanics at distant astronomical objects. Both the uncertainty of position of material particles and the time that an atom remains in the excited state increase by the factor . Especially in the very early universe, the extremely small values ​​of the rest masses of material particles in combination with very low temperatures, close to zero degrees Kelvin, lead to the conclusion that the uncertainty of position of material particles tends to infinity. This results marginally, for the very early universe from the equations of the SVU. Therefore, the universe arises from “everywhere”. The same provision is made for the CMBR,i.e. that it arizes from “everywhere”, the whole universe. Furthermore, in the SVU there is no “problem of the horizon”. All the wealth of information that is subsequently incorporated into the SCM, under pressure from theoretical and observational data assuming the “inflation” hypothesis, is contained effortlessly and as inherent information in the equations of SVU. From the redshift of distant astronomical objects there can be extracted only one firm conclusion: one or more physical parameters that we consider as constant, are in fact variable in the universe. The justification we give for the redshift determines also the answers we give to the questions of cosmology. It specifies the resulting cosmological model and this justification is determined by the physical theories we have. Castelvecchi D., Einstein’s lost theory uncovered: Physicist explored the idea of a steady-state Universe in 1931. Nature 506: 418–419, (2014). E. Hubble, M. L. Humason, The velocity-distance relation among extra-galactic nebulae. Astrophys. J. 74:43 (1931). A. Sandage, Edwin Hubble 1889-1953. JRASC 83: 351 (1989). Manousos, E., 2013. Cosmological data could have a microscopic, not macroscopic, cause. Am. J. Space Sci., 1: 9-21. Manousos, E., 2013. On the absence of antimatter from the universe, dark matter, the fine structure parameter, the fluctuations of the cosmic microvave background radiation and the temperature difference between the northern and southern hemisphere of the universe Phys. Int., 4: 120-134.